Attain self-awareness, confidence, and efficiency. Enhance career performance and productivity. Transformative solutions for motivated, dedicated leaders. self-awareness, confidence, and professional value. Not unlike sport coaches, executive coaches help their clients build the skill set to have an amazing career and lead exciting business ventures. By providing constructive and direct feedback, coaches train their clients to use their awareness to solve organizational issues. These include working with difficult teammates, winning over prospective customers, staying engaged and motivated at work, and feeling a sense of purpose at the office, to name just a few. In business, having a mentor is crucial. However, executive coaches leverage their own leadership backgrounds to go beyond mentoring. Coaches become a partner to their clients and hold them accountable for their actions and their future. They offer the necessary feedback, support, and practical advice to break down a client’s personal barriers to success. Goodfriend Partners is an executive coaching and consulting firm. We help our clients enhance their performance and effectiveness through our process, specific to their situation. Our goal is to help our clients become more self-aware, confident, and impactful through our work together. Our success is our clients’ success and the great referrals we receive from those we have served. Amy has over two decades of leadership experience helping individuals and organizations improve their performance and grow their bottom line. Amy leverages her background in finance, as well as her broad experience on a variety of entrepreneurial platforms and boards, to partner with her clients so that they can excel in their existing positions or grow into bigger roles in their organizations. 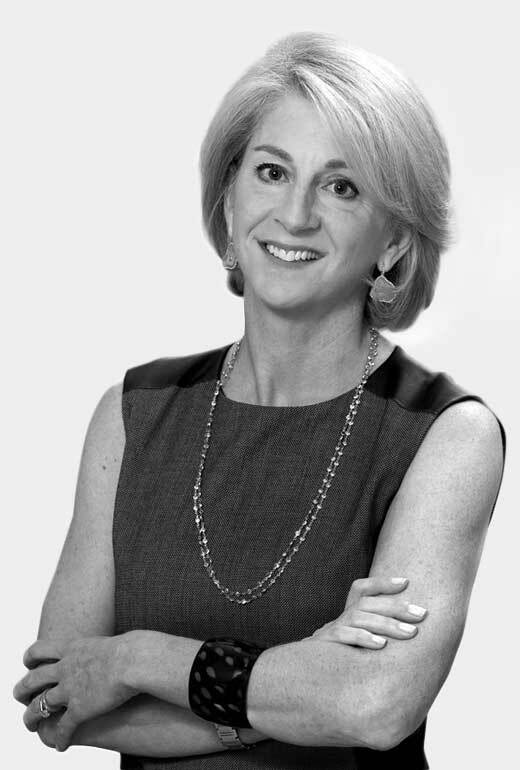 Prior to forming Goodfriend Partners, Amy was Managing Director and General Partner of Goldman, Sachs & Co. where she worked from 1987 to 2001. In 1996, Amy became a Managing Director of Goldman Sachs & Co., and in 1998, she was the first woman elected to the Goldman Sachs partnership from the Equities Division, and one of only fourteen women partners when the firm went public. In 2000 she was appointed Chief Operating Officer for the firm’s first Global Diversity Task Force, reporting to the Board of Directors of the newly public company. Amy received a Women of Achievement award from the New York YWCA in 1999. Amy currently works with executives in major corporations, small businesses and start-ups, as well as not for profits. Amy serves on the boards of American Corporate Partners and Hamilton College, and on the advisory boards of the Matt Brewing Company and New Mountain Capital, Funds III, IV & V. Amy earned an M.B.A. from Cornell University and a B.A. in French language from Hamilton College. Amy has completed the Harvard Business School-Goldman Sachs non-profit leadership program and earned certification from New York University as an Executive Coach. Amy has lived in London, Paris and New York and currently resides in Greenwich, CT with her husband and their three children. The cookie-cutter approach to success simply doesn’t work. Every team and every individual defines success through a unique lens. Our job is to understand that lens – its personaltity, its concerns, and its goals – in order to help our clients achieve a made-to-order success. Amy Goodfriend was chosen to lead Goldman Sachs’s US Equity Derivatives group (and later became the first female partner in its Equities Division). It was a seismic event that caused four senior men to quit the group. Amy faced a lot of skepticism and criticism… [but] Amy was a great boss, and over the next few years, the derivatives group was transformed under her leadership. Amy is an exceptionally effective, talented executive coach. Her no-nonsense, straight forward, practical approach was very effective in mentoring one of our key senior executives. We saw demonstrable results and improved performance in a very short period of time. Amy Goodfriend is the best coach I’ve ever known. When you are in the thick of a client problem, striving to build a great team or figure out how to negotiate the next step in your career, Amy has tremendous ability to help you see things clearly and gives you courage to act. I am one of a long list of Goldman employees, both men and women, who owe much of their career success to Amy. Amy is especially talented as an advisor for women – she’s mentored tens of women who became Managing Directors at major Wall Street firms. Beyond work, Amy’s example as an extraordinary leader who was also a deeply engaged parent gave me faith that I could aspire to do the same. Amy is extremely direct—you will never misunderstand what she says—and she cares deeply. A powerful and rare combination. When I landed the job of COO for a large operating foundation, after running a small non-profit, I knew I would have to scale my skills and learn how to be a leader of this national organization. No longer would the deep connections I had built in my small organizational family suffice, so I went to a trusted advisor and retired Goldman Sachs partner for his thoughts on my situation. He had one answer, Amy Goodfriend. Amy has taken my instincts and helped me transform them into guiding principles. She took my rougher edges and helped me develop tools to smooth the corners all the while engaging me with humor, kindness and no excuses coaching. She has helped me transition through one of the biggest professional challenges of my career. I am deeply grateful for these past six months; they will pay dividends for a lifetime. I have been working with Amy Goodfriend as an executive coach for the last six months. Amy has helped me grow and learn more about myself than I ever imagined possible. She has helped change my perception of myself, my team, and my career. She is enthusiastic, goal oriented, and makes day to day challenges fun. If you want the best, I highly recommend Amy Goodfriend.